Of course you are the spiciest act of the circus. Without a doubt. 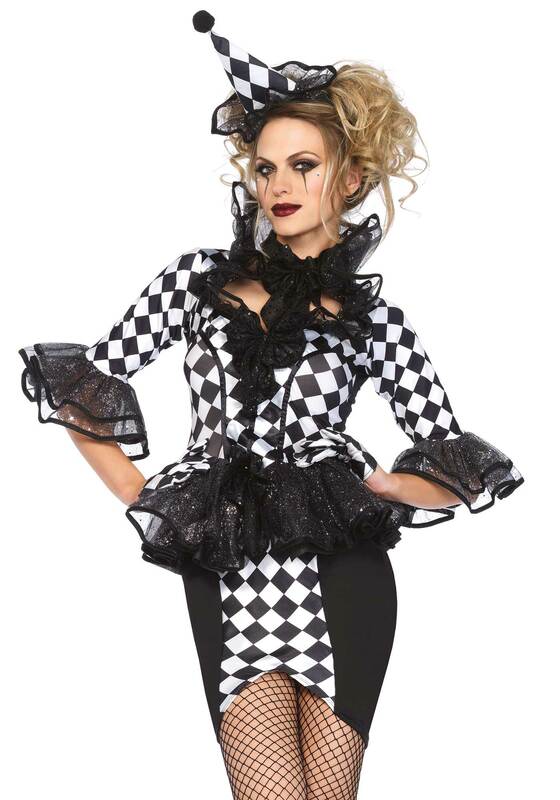 This 3PC circus costume includes a dress with glitter peplum skirt and ruffle stay up collar, bow choker and matching hat. Please take note that the gloves and pantyhose are not included. The length of size Small, measured from the shoulder is 94cm / 37inch. The model has a length of 178 cm/ 70 inch and is wearing a size S.